We Help Environmental Health and Safety Managers Write the Best Resumes, Get Great EHS Manager Jobs and Earn More Money! As an environmental health and safety manager, we understand the unique industry specific needs for individuals working within your niche field. Skilled trade professionals are the backbone of our country and the power behind analyzing, compiling, and recommending proper ways to comply with government regulations and promoting the maintenance of safe and healthy working environments. At Sequence, we have a team of industry specific experts and professional branding and candidate marketing specialists who are highly capable of developing and building your brand, and transforming your career plans into action to achieve your personal goals and expectations as an EHS manager. More than anyone else, we know how to write resumes for environmental health and safety managers and individuals in the environmental health and safety profession. In our experience the difference in making a powerful first impression when marketing yourself and setting a foundation to earning more money comes from having a very professional resume. A resume that communicates your skills, abilities and experience as an EHS manager. At Sequence, as part of our resume writing services, we have a team of professional resume writers, branding and candidate marketing specialists who are highly capable of developing your resume, building your brand, and transforming your career plans into action to achieve your personal goals and expectations. 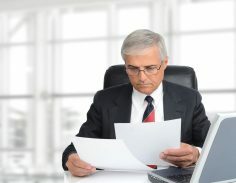 From resume assistance to resume writer service and professional resume writing help, find out why environmental health and safety managers turn to Sequence time and time again to write their resumes.